There were some notable shocks on Wednesday 16th August which marked the second day of play in the Women's Singles qualifying group stage, as 16 group winners successfully qualified for the upcoming Seamaster 2017 ITTF World Tour Asarel Bulgaria Open in Panagyurishte. The headline result of the session came from Emina Hadziahmetovic, who secured her spot in the main draw with a victory against Hungary’s Szandra Pergel. Emina Hadziahmetovic struggled to make an impact in the early stages of the match as Szandra Pergel moved two games ahead, but the Bosnia and Herzegovina player fought her way back into the tie before emerging triumphant across seven ends (4-11, 9-11, 11-4, 13-11, 11-9, 5-11, 11-2). Turkey’s Sibel Altinkaya was another player who caused somewhat of an upset in the final round of group stage matches. Facing a difficult encounter against Manika Batra of India, Sibel Altinkaya was expected to be in for a tough battle but the Turkish representative put in a strong display (7-11, 8-11, 11-9, 11-5, 7-11, 4-11) to seal first position in Group 9. The main draw will also feature three Chinese Taipei contestants after Lee Yu-Peng, Wang Yi-Ju and Lin Chia-Hsuan finished top of their respective qualifying groups. Four games was all that was required for Lee Yu-Peng to inflict defeat upon the host nation’s Esin Said (11-7, 11-9, 11-4, 11-3), while Wang Yi-Ju prevailed against Mouma Das of India (11-5, 11-1, 11-6, 12-10). Lin Chia-Hsuan came out on top against Polish opponent Kinga Stefanska (11-2, 6-11, 11-9, 14-12, 9-11, 11-2) as the Chinese Taipei player progressed from Group 14. The final set of group stage fixtures also saw all three of the Japanese players involved in qualifying action contribute decent performances on the table. Registering her second successive straight games win of the qualification tournament Mizuki Morizono held too much quality for Archana Girish Kamath to deal with (11-9, 11-3, 11-7, 11-6), and the four games to nil scoreline was matched by fellow Japanese competitor Miyu Maeda who was rarely troubled by Nadezhda Bogdanova (11-7, 11-7, 11-7, 11-4). Asuka Sasao was the third Japanese contestant to seal a spot in the main draw, defeating Daria Trigolos of Belarus over the course of seven games (9-11, 11-6, 5-11, 11-3, 8-11, 11-5, 13-11) to finish top of her qualifying group. 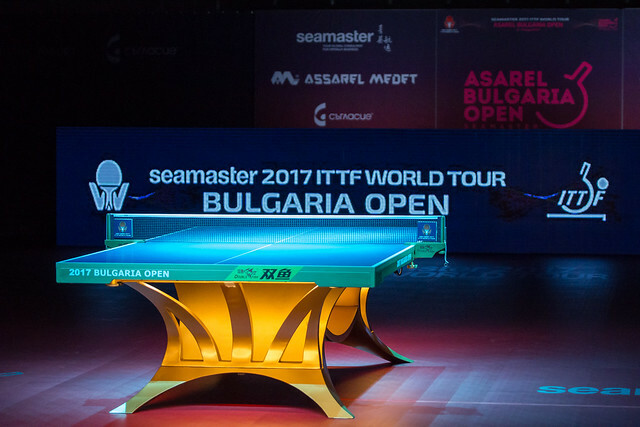 The Women’s Singles competition commences on Thursday 17th August as the Seamaster 2017 ITTF World Tour Asarel Bulgaria Open officially gets underway.